The Verbatim Thermal Printable DVD-R White, Hub Printable Discs (50 Pack) let you record your own DVDs or store up to 4.7 GB of data. 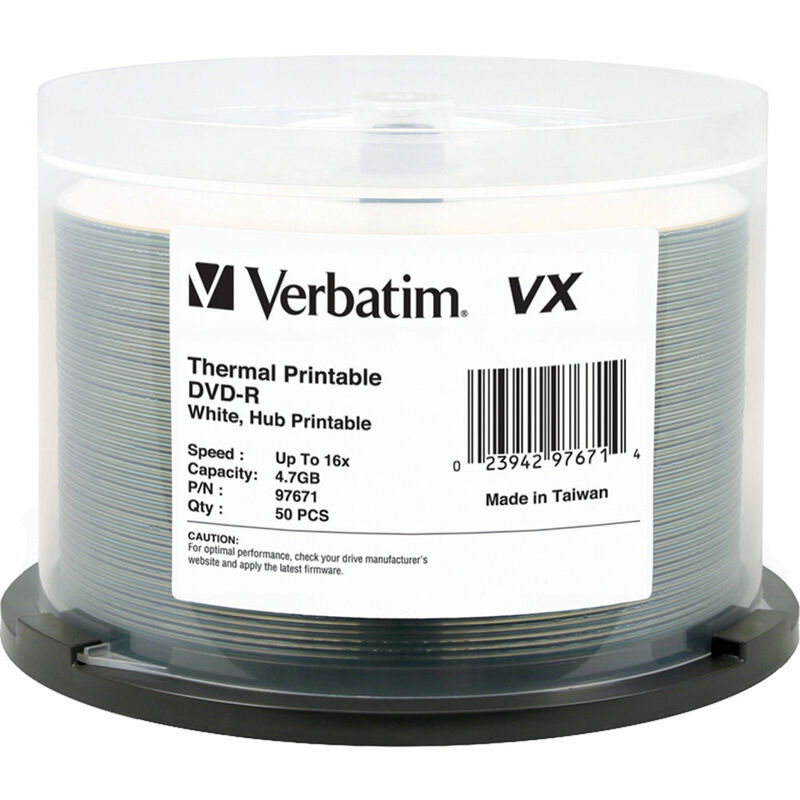 The discs are compatible with thermal disc printers, allowing you to customize DVDs with your own labels, design, or logo. The full surface of the disc, including the hub, is printable. Box Dimensions (LxWxH) 5.3 x 5.3 x 3.4"